Mail mail mail! Puns, dreams, and tons of mundane super powers! 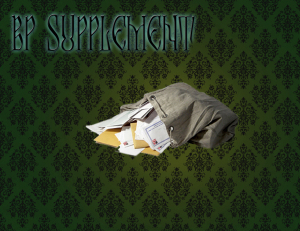 Blurry Photos catch up on a growing mailbag in this supplemental. The boys address listener dreams, puns, mundane super powers, and more. Plus penalties leveled them cause a stir! Don’t forget to like Blurry Photos on Facebook and write a review on iTunes, and head to the Blurry Photos contact page to send a magnificent missive of your own!